BJP members Kirit Somaiya and Nishikant Dubey, sources said, called it a “biased” draft report. Gross non-performing assets (NPA) of the entire banking sector stood at Rs 8.31 lakh crore at end-December 2017. There was a sharp political divide at a meeting Tuesday of the Parliamentary Standing Committee on Finance when BJD member Bhartruhari Mahtab sought to know the fate of the panel’s draft report related to demonetisation and BJP members objected, calling it a “biased” draft report. 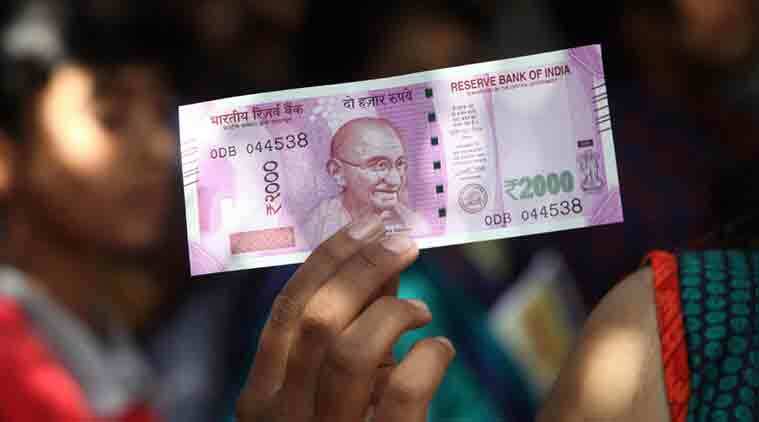 Soon after the members assembled, Mahtab, sources said, asked panel chairman and Congress veteran Veerappa Moily: Where has the draft report on the ‘Demonetisation of Indian currency notes of Rs 500 and Rs 1000 and ramifications thereof’ gone? He said the committee was already done with the report on the related matter of ‘Transformation towards a digital economy’. BJP members Kirit Somaiya and Nishikant Dubey, sources said, called it a “biased” draft report. At this, Moily said he would want a final report after consensus. Sources said Moily told them he did not want any voting or dissenting notes. The matter was deferred because Reserve Bank of India Governor Urjit Patel, who was scheduled to appear before the committee, had already arrived and was being made to wait in an adjoining room. As the committee took up the scheduled agenda, Patel said the RBI needed more powers to oversee public sector banks (PSBs). The members questioned him for four hours on the issues concerning the banking sector, challenges and the way forward and the non-performing assets of banks. Sources said Patel, in his written submission to the committee in response toe questions put to him earlier, maintained that the RBI had inadequate control over PSBs. He said the RBI should have the powers to remove and appoint the chairman and managing directors; grant licences and impose conditions while giving them; approve the appointment, re-appointment and termination of appointment of a chairman, managing director or wholetime directors of a manager or a chief executive officer; call a meeting of directors of the bank concerned, depute one or more of its officers to board meetings, appoint observers and require the bank to make changes in the management the RBI may consider necessary; remove managerial and other persons from office; and, supersede the board of directors. Gross non-performing assets (NPA) of the entire banking sector stood at Rs 8.31 lakh crore at end-December 2017. There are a total of 21 state-owned banks, including State Bank of India. Their combined losses crossed Rs 87,300 crore in 2017-18 fiscal, topped by scam-tainted Punjab National Bank which took a hit of nearly Rs 12,283 crore. Of the 21 state-owned banks, only two, Indian Bank and Vijaya Bank, posted profits during 2017-18. Indian Bank posted the highest profit of Rs 1,258.99 crore and Vijaya Bank’s profit was Rs 727.02 crore in the fiscal. The RBI Governor told the committee that the major challenge faced by the Indian banking sector today was on account of the stress in asset quality faced by the scheduled commercial banks (SCBs), which account for 88 per cent of the banking system. Some members sought to know the reasons for recent instances of ATMs running out of cash and asked Patel why enough steps had not been taken to tackle frauds. Patel told the panel he was confident that they would be able to tide over the crisis. He maintained that the RBI was not empowered to take action against public sector banks. This was the job of the government. The RBI, according to him, did not carry out audits either. Basically, it was not involved in day-to-day functioning of banks. It did issue guidelines and advisories to banks from time to time. The members had asked Patel if, in the context of the PNB scam, letters of understanding had been issued without collaterals and the matter had gone unnoticed for years. They wanted to know if any inquiry or a disciplinary action had been initiated by the RBI to fix responsibility. They also sought the specific number and value of banking frauds detected by the RBI and other agencies in the last three years. Patel maintained that currently, the RBI inspects commercial banks under the risk-based supervision framework and seeks to focus attention and supervisory resources on banks that face greater risks. Regarding the LOUs issued for years without collateral by the PNB branch which went unnoticed, he was learnt to have said that it was pertinent to recognise that the primary responsibility of understanding risks undertaken by the bank and ensuring that the risks were appropriately managed through necessary risk mitigation controls, etc, clearly rested with the board of directors of the bank concerned.